Vinyl has changed and for the better! Not long ago, vinyl flooring only came in a few varieties. Now, it is made to look like hardwood, ceramic tile, and natural stone. It mimics just about any material. So, your guests may never know it is actually vinyl. In addition to looking beautiful, today’s luxury vinyl floors are quite resilient. They hold up under heavy foot traffic and are usually waterproof. Find out more by visiting Buddy's Flooring America for luxury vinyl flooring in Florence, KY. When you’re searching for flooring, you should never feel limited. Fortunately, there are so many different options with luxury vinyl flooring. Not only do they come in all colors, but this flooring is available in various patterns as well. Due to the wide selection vinyl flooring products at our flooring store from well-known brands, you are sure to find the exact floor to match our personal taste. If there’s any surface in your home or business needs to be the most durable, it’s your floors. Due to the latest advances in flooring, luxury vinyl floors (or resilient floors) are more durable than ever. We are proud to offer premium vinyl floors that hold up under years of wear. Just as the name suggests, resilient flooring is hardy and long lasting even in the busiest households and businesses. In addition, these flooring options offer stunning beauty as well as impressive performance. If you are searching for new floors that hold up under heavy foot traffic, enhance your space, and are waterproof, this is the perfect option for you. Most importantly, they come in a wide range of patterns, styles, and colors -- so you never need to feel limited. 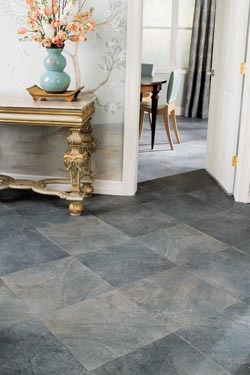 Do You Need Luxury Vinyl Tile Installation? Your new floor needs a strong and level surface. In order to have a long-lasting and quality floor, the surface must be accurately prepared. That’s why our experienced installers take care to do everything correctly the first time. We use a team that is skilled at ensuring your floor is smooth, clean, and level before luxury vinyl flooring installation. You’ll be impressed with the end product for many years to come. Contact us for more information about our luxury vinyl floors and interest-free financing. We proudly serve customers in Florence, Erlanger, Independence, Latonia, and Burlington, KY, as well as the surrounding areas.